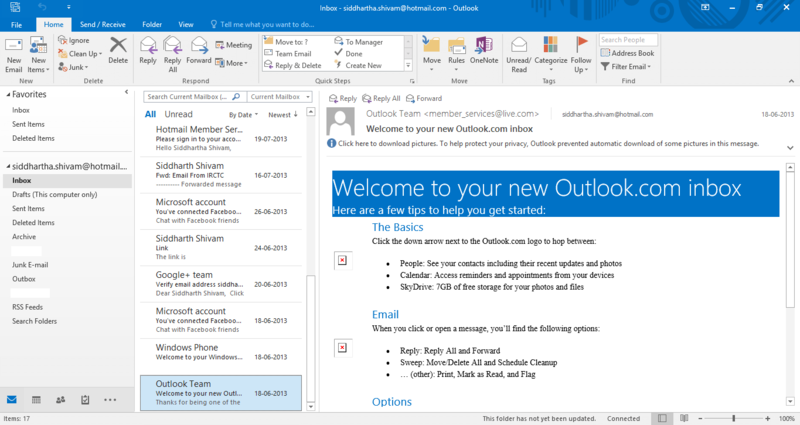 Microsoft Outlook 2016 is an email client which is used to access different email accounts in your computer. Emails can be directly accessed without the use of a web browser. Outlook is also used in handling events and saving email contacts. It also works with POP, IMAP and Exchange ActiveSync email accounts. 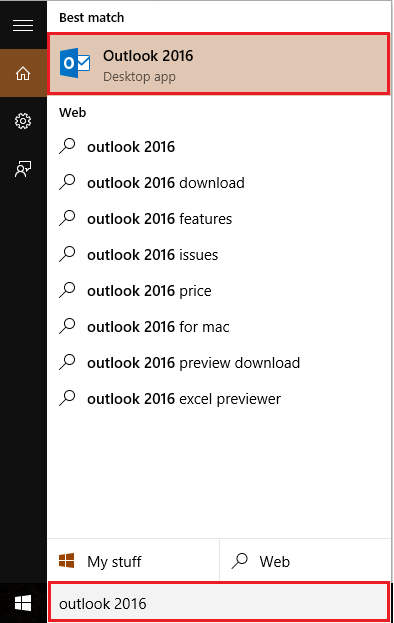 Type “outlook 2016” in the Windows Search Bar located next to the Start icon. Click on the first option provided. 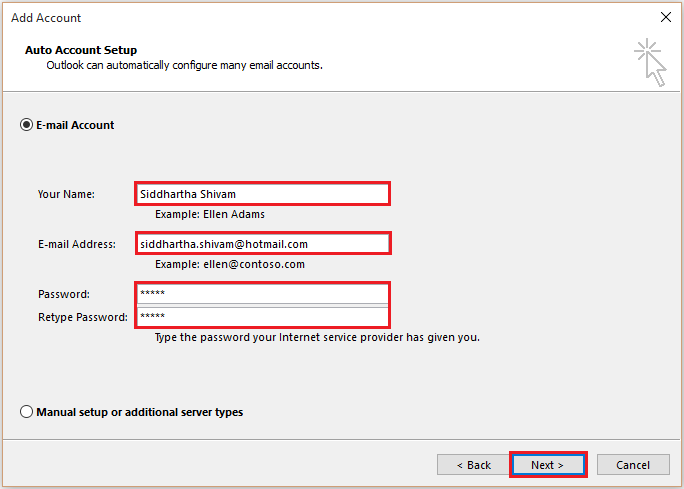 If you haven’t configured your Outlook 2016 or you are using it for the first time, a configuration wizard will display on your screen requesting you to configure your email account. To start configuring Outlook 2016, click on “Next” button. 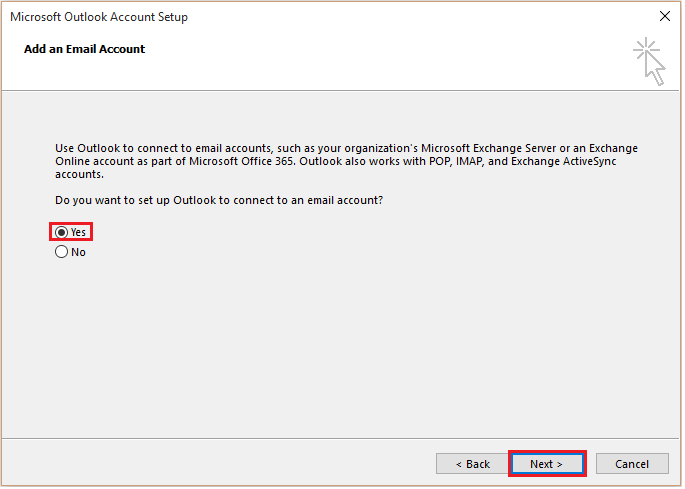 Select “yes” radio button to enable Outlook to connect to an email account. Enter a name for your email account. Enter your email address & password in the command line boxes provided. After filling these details, click on “Next” to continue. Note: If you want to configure a POP or an IMAP email account, select the radio button “Manual setup or additional server types” and then click on “Next” for rest of the process. 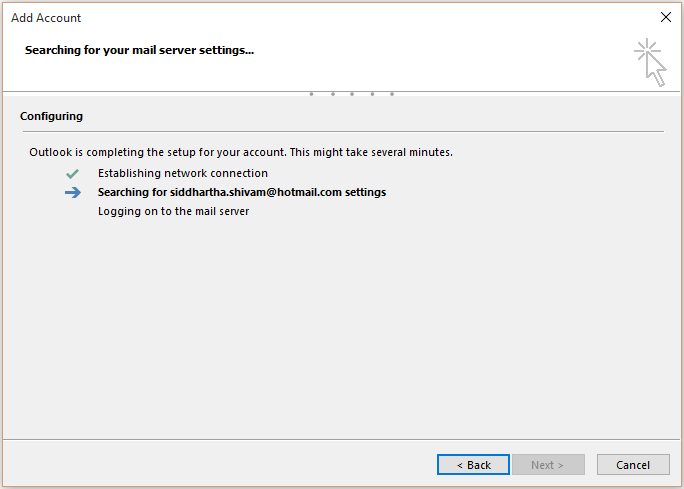 Now, Outlook 2016 will search for your mail server settings by establishing the network connection to your email account. 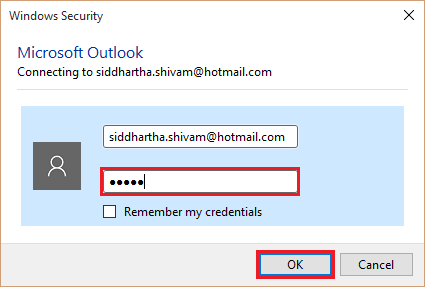 As soon as the Outlook 2016 gets connected to your email account, it prompts you to enter your email password. The connection made to your email account is an encrypted process. Therefore, its reliable & secure. Just enter your password and click “OK” to continue. 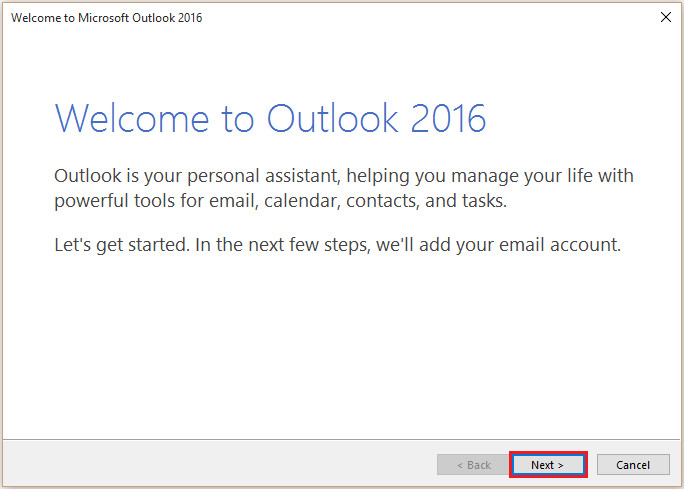 Finally, the email account is established on your Outlook 2016. You can access all the Outlook 2016 features and functionalities on your system.